A 22-year veteran of the National Football League, Scott Pioli is one of the most well-respected and highly-regarded executives in league history. A five-time winner of the NFL’s Executive of the Year Award by various national media outlets, Pioli was behind the curtain of the New England Patriots dynasty before leading an incredible franchise turnaround for the Kansas City Chiefs. Born in Washingtonville, New York, Pioli was the first member of his family to pursue higher education, attending Central Connecticut State University, where he earned a Communications degree and also played defensive line for the school’s football team. He became a graduate assistant coach at Syracuse University where he also earned a Master’s degree before joining Murray State as a full-time coaching assistant. Just two years later, Pioli advanced to the NFL to join the Cleveland Browns personnel department. Bill Belichick was the Browns head coach in Cleveland at that time, and he hired Pioli to be a scouting assistant. Pioli became the team’s Pro Personnel Assistant shortly after and was promoted again to Pro Personnel Coordinator when the Browns moved to Baltimore. In 1997, Pioli was hired by Bill Parcells to become Director of Pro Personnel for the New York Jets, who went from one win in 1996 to a franchise-record 12 in 1998. After three years with the Jets, Pioli joined forces again with Belichick as a member of the New England Patriots. Eventually taking over the role as Vice President of Pro Personnel, Pioli and Belichick worked closely together to construct a team of champions. From 2001-04, the Patriots hoisted the Lombardi Trophy three times, making Pioli and Belichick the first personnel director/head coach tandem to win the Super Bowl three time in four seasons. From 2000-08, the Patriots won more games than any other team in the league right after the duo managed to select future star quarterback Tom Brady with the 199th overall pick of the 2000 NFL Draft. The Pioli/Belichick Patriots of 2007 became the first and only team in NFL history to go 16-0 during the regular season. 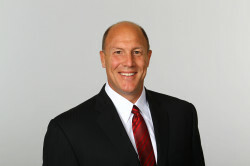 In 2009, Pioli left Belichick and the Patriots to take over as general manager of the Kansas City Chiefs where he drafted four Pro Bowl players. They went 4-12 in Pioli’s first season at the helm before a dramatic uprising in 2010 when the Chiefs went 10-6 and won their first AFC West title since 2003. Today, Pioli is the assistant general manager of the Atlanta Falcons. A big proponent in higher education, Pioli has founded a number of academic scholarships to help students pursue their college goals. It was all inspired by Pioli’s grandmother, Rose Costa, who received an elementary school diploma in 1925, the first member of the family to get a diploma of any kind. Grandma Rose’s degree still hangs above the desk in Pioli’s home office.